There are plenty of cookery books on the market aimed at parents of young children. What none of them tell you is how to get your child to actually eat the healthy, nutritious food you’ve carefully prepared. Every parent knows how frustrating it is to take time to produce home made food, only to have it thrown on the floor by your precious little darling! Or more seriously, to have a child who literally won’t eat any fruit or vegetables. We all want our little ones to eat well, grow strong and be healthy, but mealtimes aren’t always a walk in the park and a balanced diet can sometimes feel like an impossible mission. 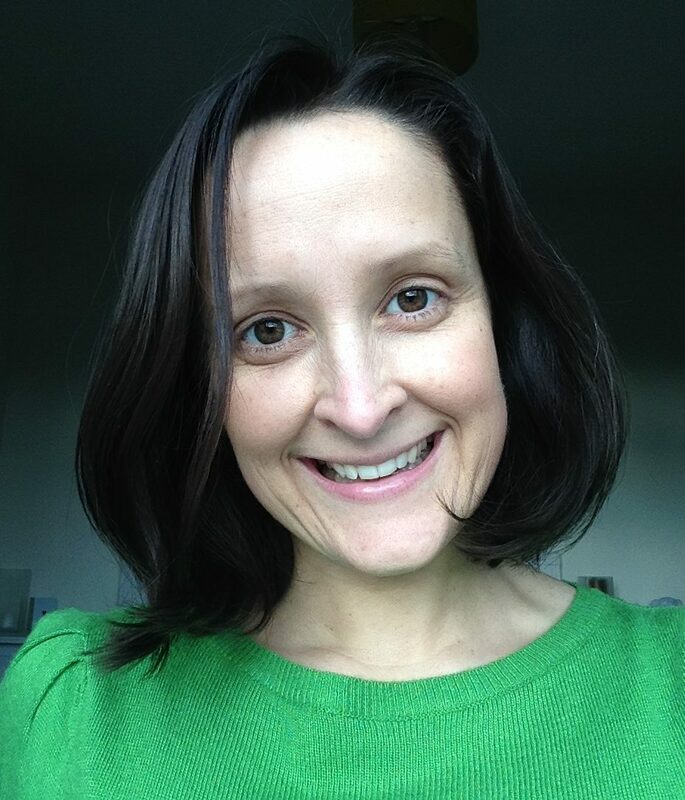 Lucy Thomas has found the answer with her all-singing, all-dancing book. There’s advice for parents and games for children that will tempt even the pickiest eaters into trying out new foods. With activities, songs and recipes for all the family to enjoy, children of all ages will soon be exploring, and tasting, an exciting new world they may never have touched before. Most parents have several children’s cookbooks on the shelf and spend time preparing healthy and nutritious things for their children to eat. Attempting to get the food into their children’s mouths is another challenge altogether; sadly the cookbooks don’t tell us how to do this. At Mange Tout this is where we can help. Picture this: after numerous tries with putting peas on your child’s plate and presenting them in different ways, they still refuse point blank to eat them. Not a single pea will pass their lips! But then, you pop round to a friend’s house for supper and there right before your eyes they demolish a mountain of peas and pasta without so much of an “I’m not hungry”. The explanation for this is beautifully simple. Children will often relax and eat better with others of a similar age. It’s amazing to see what happens when one child is given positive praise for eating well. Suddenly even the most unwilling of eaters will be encouraged to pick up their fork and make a start. This is one of the reasons why Mange Tout works so well. Among peers and at such a young age children are far more receptive and willing to try new foods, especially when they are encouraged in a relaxed, sociable environment. The second part of Mange tout’s success is preparing children for what’s to come on their plate. You can do this by letting them help to get the meal ready, singing about the food or maybe telling a story about the food they are about to eat. This is all very well, I hear you exclaim, but how is a parent supposed to deal with a new-born screaming for a feed, a toddler pulling at their jeans demanding to paint, and a five year old practising their recorder while you are attempting to whiz up a nutritious culinary delight that they will all sit down quietly to and eat? I certainly appreciate how hectic parenting can be and how stressful it is when children won’t eat healthily. 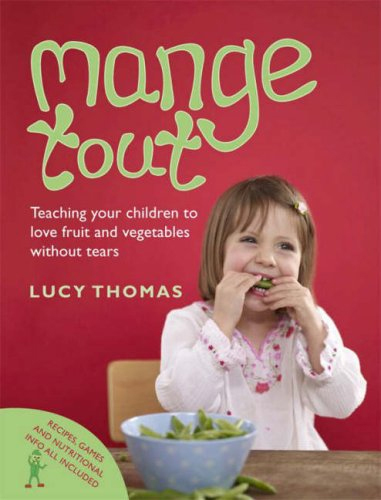 This is why I set up Mange Tout classes, to solve this common problem and now Mange Tout Kids provides those successful methods in this easy-to-use book. At Mange Tout the experience is all about finding fun in food and offers parents and children the chance to get used to fruit and vegetables away from the stress and frustration of mealtimes and the pressures of daily routine. Classes are structured so that children of a similar age, along with their parents or carer, have the opportunity to explore and familiarize themselves with a variety of fruit and vegetables. They do this through creative food handling and exciting food related activities in a relaxed and sociable environment. 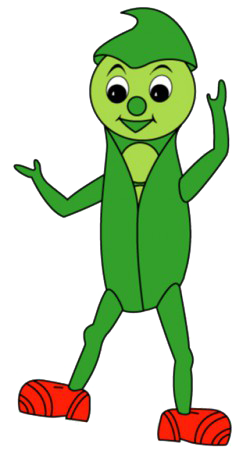 The classes and this book also incorporate simple but effective methods of teaching colours, numbers and problem solving through songs and games using pictorial images of fruit and vegetables as well as the actual produce to encourage positive recognition. Mange Tout Kids will offer simple, easy-to-follow methods, similar to those used in our classes to re create the mange-tout experience in the home. It also provides support to guide you through the activities and suggestions for dealing with particular tricky situations. 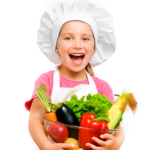 Children need the opportunity to understand the fundamentals of fresh food and have the chance to get their hands on food in a relaxed and fun setting. Mange Tout offers parents an experimental and interactive approach to introducing their child to fresh produce in an entertaining and easily digestible format. One dull May morning in 2006 I visited a Mange Tout classes in South London. As soon as I stepped through the door and saw a group of pre-schoolers running round the room searching for fruit and vegetables, a light went on! I had been working with children with feeding difficulties for some years as a clinical psychologist, and had long wished for a good preventative programme to manage small children’s selective eating habits. Here it was! I knew that if this class had been locally available, for many children a long wait to see a paediatrician, dietician or psychologist could have been avoided. Lucy uses soundly based psychological principals in her classes. Key to her approach is desensitisation and anxiety reduction. She shows parents and children a way to familiarise themselves with new food in a playful, non judgemental and supportive manner. She gives parents, who are often at the end of their tether with their child’s eating, a method for moving on. Some children I saw that day were reluctant even to go to the table to look at fruit and vegetables, others were ready to put small amounts of puree or raw vegetables to their lips; all stages were accommodated in the class. Above all everyone was having fun! In this book Lucy has put together ideas from her fun filled classes, for all of us to use, in a simple straight forward way. Have lots of fun and enjoy this book. Go on! Have a go – it really does work!